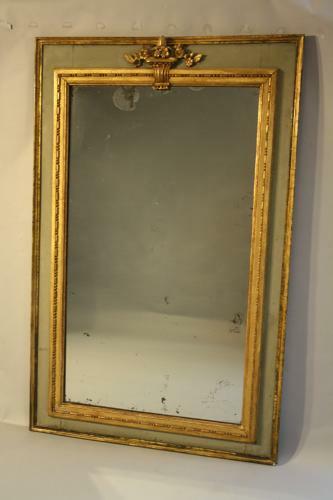 A late C19th French parcel gilt and green painted panel wall mirror with moulded frame. Original mercury glass plate with some age spots. Lovely original condition.